Prior to joining the UF law faculty, Mr. Hamilton served as the electronic discovery partner for his national law firm. Mr. Hamilton has taught electronic discovery at the University of Florida for the past decade and is the co-author of the LexisNexis Practice Guide Florida e-Discovery and Evidence and co-author of A Student Electronic Discovery Primer: An Essential Companion for Civil Procedure Courses. Mr. Hamilton is also the General Editor of the LexisNexis Practice Guide: Florida Contract Litigation. 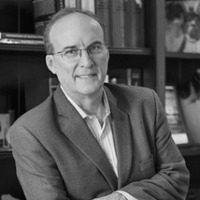 He is a neutral arbitrator and mediator for the World Intellectual Property Organization and the author of numerous domain name dispute decisions. He has been recognized in Chambers USA, Florida Legal Elite, Best Lawyers in America, and Florida Super Lawyers.